City of Cleveland, Division of Police Vehicle Auction: November 7, 2015 at 4300 Bradley Road. All vehicles are SOLD AS IS! CASH ONLY!There is a 10% CASH down payment required to hold the vehicle the day of the auction. All vehicles must be paid for in full by Friday, November 13, 2015. 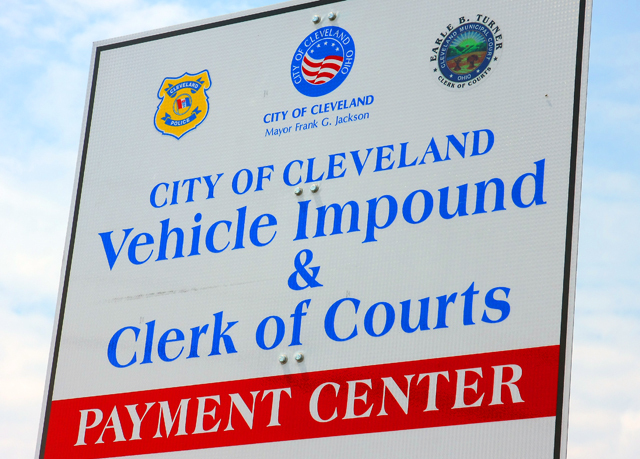 All vehicles must be paid for in full and the title transferred out of the City of Cleveland’s name before being removed from the lot. If vehcles are NOT paid in full on the day of the auction, the remaining balance must be paid to the City Treasurer’s Office at 601 Lakeside Avenue. After the vehicle is paid in full, you will receive a receipt stamped “Paid in Full”, bring the receipt to Lot 2, 4300 Bradley Road between the hours of 9:00 AM and 3:00 PM. You will then receive the title. The title must then be taken to the Title Bureau and transferred to the new owner’s name. Take the new title to Lot 2 in order to obtain possession of the vehicle. All vehicles must be removed from the lot by Friday, November 13, 2015. NO EXCEPTIONS.